Shortly after the ‘Lantern’ probe arrived safely in Munar orbit, the Kerbal Space Agency began work on an austere probe to investigate if it was possible to land on the Munar surface. 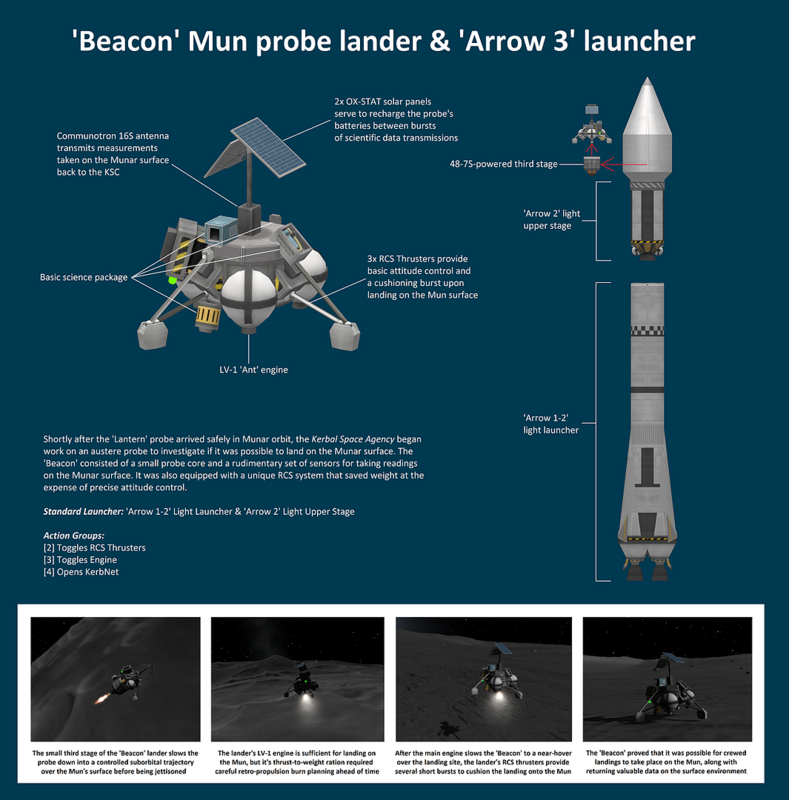 The ‘Beacon’ consisted of a small probe core and a rudimentary set of sensors for taking readings on the Munar surface. It was also equipped with a unique RCS system that saved weight at the expense of precise attitude control.